A tiny white horse with a pink mane that was reportedly spotted a number of times wandering Ile Sainte-Helene has been proven to be a fake. The mini-steed story was a test of viral news put forth by the TVA show Vlog. A former reporter wanted to see how fast he could spread fake news. 'Witness' Gilles Bouchard said he first spotted the undersized steed on a side road near the Biosphere while he was out walking on the island. The pony, however, fled when he approached, he said - but not before Bouchard was able to take a photo. He then created a Facebook page - 'Sauvons le mini-cheval' - dedicated to the purported pony sightings. Over 200 people joined since its creation. A jogger submitted an early morning photo of the bridled mini-pony to Bouchard, which he then shared to the page. 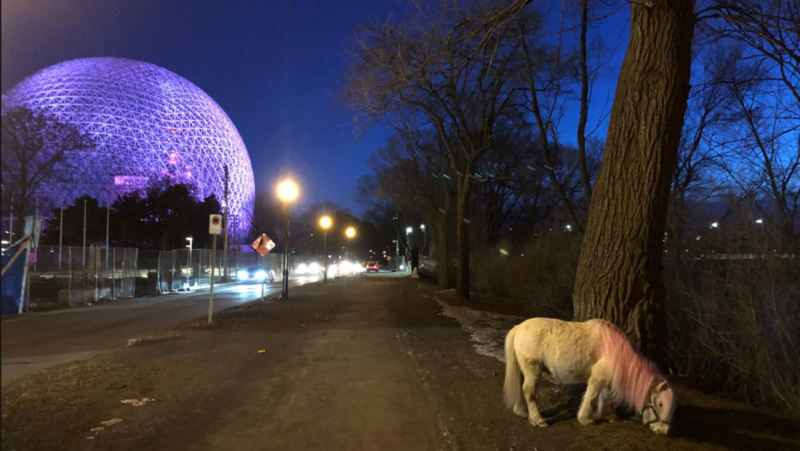 A spokesperson for the Societe du Parc Jean Drapeau, which oversees all functions on Ile Saint-Helene, said, before the pony was revealed to be a hoax, that they've been made aware of the situation and have dispatched groundskeepers to "actively look for traces of the animal." However, the pony never turned up in physical searches or via surveillance footage. "We remain on watch to find the animal, if it is still on the territory of Parc Jean-Drapeau," Gabrielle Meloche told CTV Montreal in an email. "If it is there, we will take all necessary measures to ensure the animal is safe and returned to competent authorities." 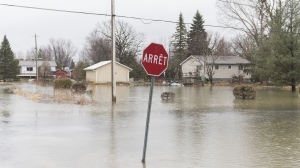 "I can also confirm that there was no activity at Parc Jean-Drapeau that would justify the presence of the animal on Ile Saint-Helene," she added.